Angela Jollivette’s connection to Music was an innate interest growing up. Her musical path blended Soul, Jazz and R&B music with the emergence of Hip-Hop infusing the sounds surrounding her. Angela’s ear and sixth sense developed thru melodies and lyrics from secular and non-secular music, never losing sight of the messages in Gospel music that built her foundation. Angela’s journey led her to express her love for music thru DJing & Radio taking on the moniker DJ Moonbaby. Moonbaby, one of the top female DJs in LA rocking events for CBS, The GRAMMYs, Director Ava Duvernay, The Pan-African Film Festival and many other corporate brands. As a member of The Recording Academy, she joined the organization hoping to guide her next steps. The Recording Academy led Angela to what she believes is an assignment from above. Her passion & extensive knowledge of music afforded her the opportunity to manage and oversee the Gospel and Christian Music Field for the GRAMMY awards. Spending the last decade managing Gospel/CCM genres and World music for a small stint broadened her musical palate. Mastering Gospel and World, Angela received another amazing and unique opportunity to infuse TV/Film music to her resume. A natural progression, overseeing Best compilation soundtrack album, song, and score for Visual Media at The GRAMMYs led her into her passion for Music Supervision. After a decade tenure with The Recording Academy, GRAMMY Awards Department overseeing World Music, Gospel/Contemporary Christian Music & TV/Film Music. Angela Jollivette departed in June 2017 to launch Moonbaby Media, a Music Supervision & Content Production firm for Visual Media. 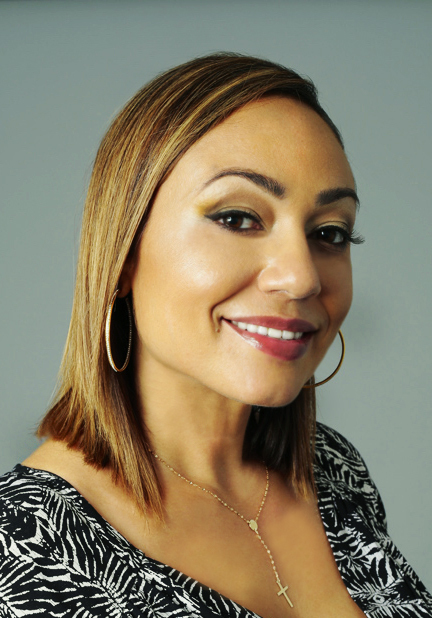 The success of overseeing the music and soundtrack for the OWN Network/Lionsgate TV's, faith-based series, Greenleaf has proven her departure from the academy was the right move. Angela is now a 2-time Award Winner, NAACP & Stellar Awards Winning Music Supervisor and Soundtrack Album Producer for the Greenleaf Season 2 soundtrack. Angela’s wealth of expertise musically and professionally lies beyond the Gospel genre and she is now tapping into her next TV/Film music projects with great momentum behind her.